Jake bought me a sewing machine for Christmas. It was high on my wish list and I was so happy to have it....but then it sat....unused....for the past 3 months. Womp womp womp. But then, the other day, I got the courage to test my sewing skills and actually make something! I bought this beautiful fabric from Loom Decor a while back. It's a beautiful linen blend and the colors are fabulous. But at $28/yard (and as a novice sewer), I was super nervous to take needle and thread to it. So I did it. I pretty much followed this awesome tutorial from Design Sponge. 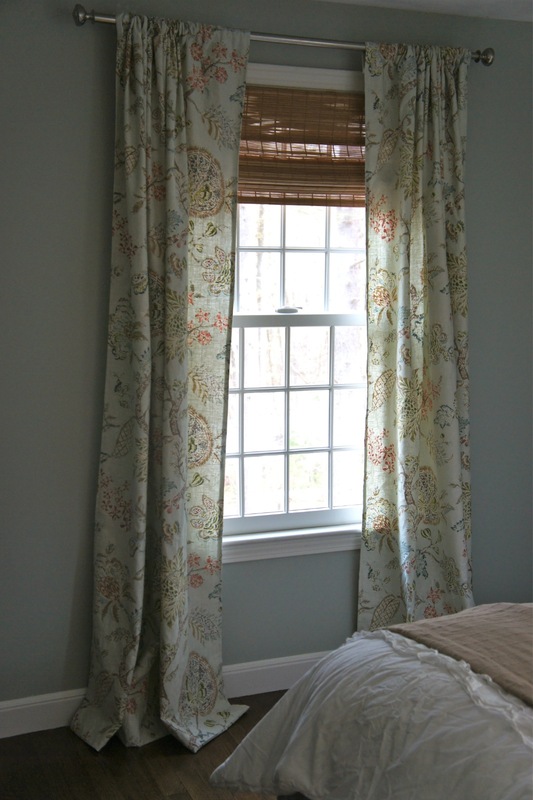 I used a little less than 5 yards of fabric to make 2 curtain panels. I need to make 2 more panels so I just put in another fabric order. I'm pretty happy with how they came out. If you look really closely, my stitches aren't perfectly straight, but who's gonna look that closely? The fabric matches really nicely with the wall color (Restoration Hardware Silver Sage color-matched to BM paint). I left the length of the panels a little long. It adds some nice layering and is cozy for a bedroom. With any luck, I'll get started painting the Ikea Hemnes nightstands this week. Have a wonderful weekend and Happy Easter if you celebrate! Love the curtains! They are gorgeous! Congratulations ;) They are beautiful! Not so bad, was it? 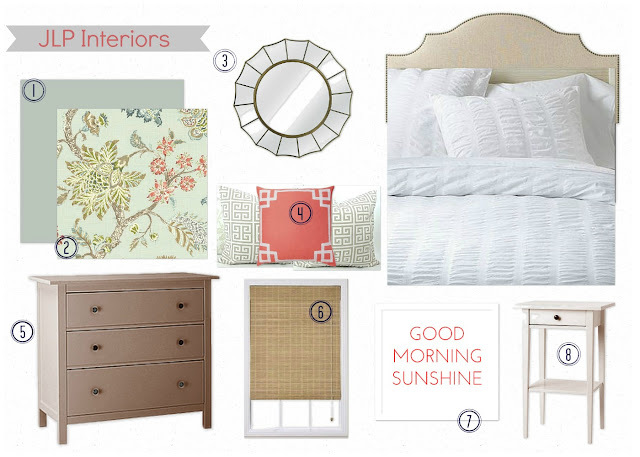 That mood board is so lovely! Your guests may never want to leave :) Thanks again for working with Loom. By the way, if you aren't as brave as Jessica, Loom can also make you the curtains! Thank you! Always great service from you!